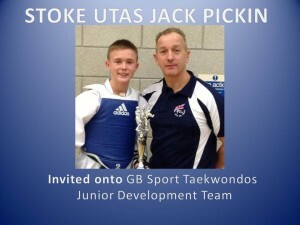 Stoke UTAS Jack Pickin , Stoke National Champion and National Silver Medalist , along with Numerous Other National Titles, has been Selected by the GB Sport Taekwondo , to Join the Junior Fighting development Team . Jack has been working hard over the last months and attending Martin stampers development Days and competing all over the Country , Invited last week for a Trial at the GB Sport taekwondo Gym with coaches Olympian Sara Stevenson and Stephen Jennings Jack has Impressed the coaches and selectors and Been Invited on the junior development squad . Another great achievement for Jack and Stoke UTA . 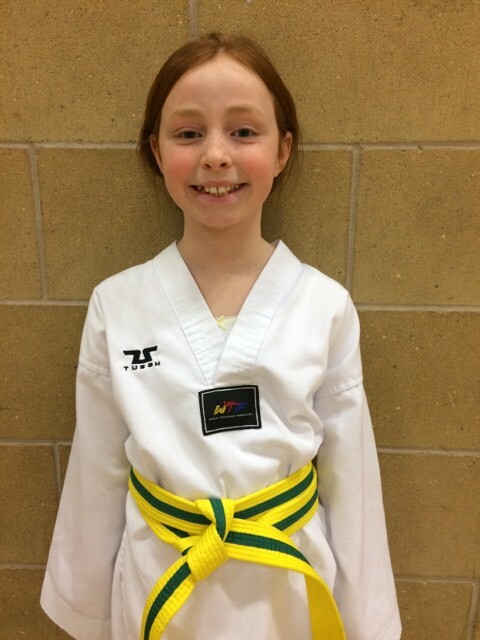 Jack will now attend the Sport Taekondo training Headquarters in sports City Manchester for six months . This entry was posted in Uncategorized on August 14, 2014 by Peter Johnson.